Car insurance and accidents can be a stressful topic. Especially when you live in an area where you regularly cross state lines. Like all states in the nation, both Pennsylvania and New Jersey require their residents to have car insurance. When selecting insurance plans, you may opt to pay higher in premiums for more extensive coverage. This allows you to recover non-economic damages (pain and suffering). If you select a more economical plan, you may only recover economic damages (car repairs, wage loss, and medical bills), with several exceptions. The plan names are slightly different in PA and NJ. In Pennsylvania, options are Limited Tort and Full Tort. In New Jersey, the the options are Verbal Threshold or Zero Threshold. The laws in New Jersey and Pennsylvania are very complex. This post is designed to give you a cursory overview of the two options in each State, and discuss what happens when a Pennsylvania resident gets into an accident in New Jersey, and vice versa. Are you a PA resident? Unlike most jurisdictions, Pennsylvania gives you a choice between two options when purchasing car insurance: Limited Tort and Full Tort. While a Full Tort selection is more expensive, it does not limit your ability to recover for pain and suffering. Full Tort also includes economic damages such as property damage, lost wages, and unpaid medical bills. While about 15% cheaper, a Limited Tort policy may not recover non-economic damages unless one of multiple exceptions applies. To read about the exceptions, see Stampone Law’s blog post on Limited Tort vs. Full Tort here. Unfortunately, none of this matters if a Pennsylvania resident like you, insured in Pennsylvania, is injured in a car accident in New Jersey. Drivers from Pennsylvania and other states are automatically subject to New Jersey’s Verbal Threshold option (NJ’s version of Limited Tort) if their insurer is also licensed to do business in New Jersey (Deemer Statute, N.J.S.A 17:28-1.4). This is a virtual certainty for most major insurance companies. Even if you select a Full Tort plan and pay higher premiums, you do not receive the full protection of that plan in New Jersey. It is still possible to recover non-economic damages, but only if your injuries fall under a number of statutory exceptions. Live in the Garden State? Like Pennsylvania, New Jersey offers its residents an option when choosing auto insurance policies. Instead of Limited and Full Tort, New Jersey uses the terms Verbal Threshold (akin to Limited Tort) and Zero Threshold (akin to Full Tort). Pennsylvania is much more lenient than New Jersey for injured out of state drivers. If you are injured in Pennsylvania, regardless of your election of Zero Threshold or Verbal Threshold, you are deemed to have a Full Tort policy. This means you can recover both economic and noneconomic damages, such as pain and suffering. There is one caveat: if the at-fault driver is also a New Jersey resident with auto insurance in New Jersey, you remain subject to your own New Jersey policy. If you have a Verbal Threshold policy, the limitations on recovery still apply –unless your injuries fall into one of the statutory exceptions: death, dismemberment, loss of a fetus, significant disfigurement or scarring, displaced fractures, or a permanent injury. While the options may seem daunting, having an insurance policy that meets your needs and budget is the law. 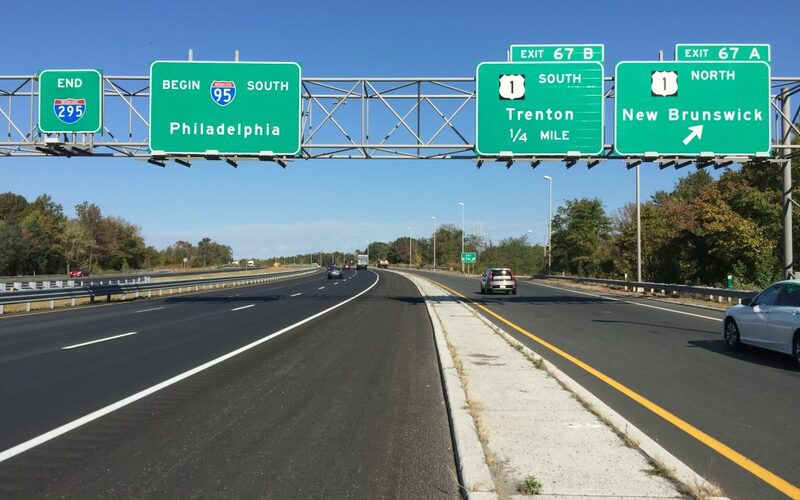 Car insurance and accidents are a reality, so whether you are traveling the Pennsylvania Turnpike to the Poconos or a cruising the Atlantic City Expressway to your favorite shore point, be safe, be prepared, and have fun this summer. If you are ever injured, don’t wait reach out to one of our experienced attorneys at Stampone Law for a free consultation.